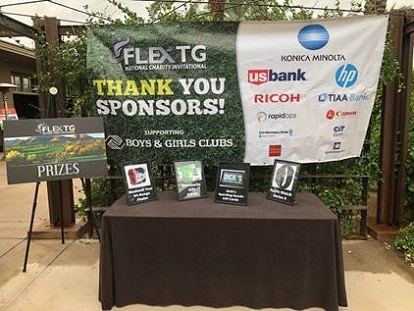 Flex Technology Group Hosts National Golf Tournament to Support Boys and Girls Clubs of America | Industry Analysts, Inc.
A huge thank you goes out to the sponsors who helped make the FlexTG National Charity Invitational an exciting and successful fundraising event. This entry was posted in Uncategorized and tagged Boys and Girls Clubs, Flex Technology, hp by IA Staff. Bookmark the permalink.